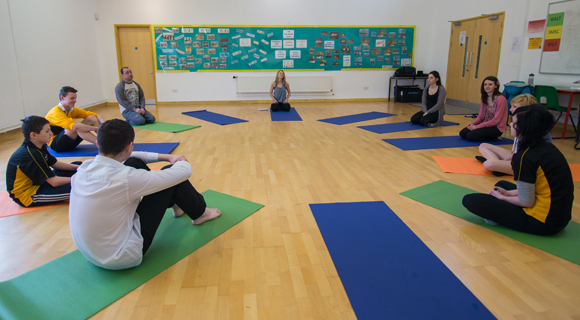 Helen Clare is a qualified teacher who also teaches yoga lessons in both Primary & Secondary schools in Cornwall. She came to us to commission a couple of short promotional films to show prospective schools how her lessons work and how they can benefit the children. I decided to attempt to film the videos alone and although it was tough I think I just about managed it. 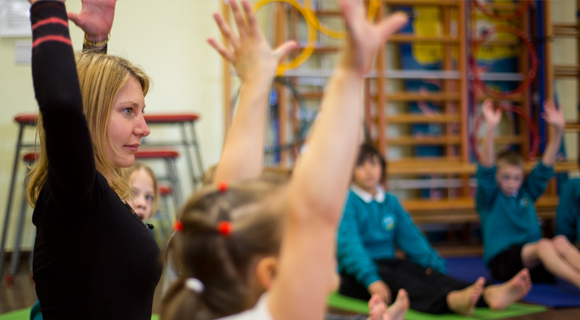 The first location was Pool Academy in Redruth where Helen was teaching an afterschool club of about 10 pupils & teachers. We decided that she should just teach a normal session and that I would do my best to capture the essence without intruding too much on the lesson. This meant staying silent throughout and keeping movement to a minimum so to not disturb the concentration of the class. I was shooting on the 5DMk3 with Tokina 11-16mm @ 16mm, Canon 24-105 & Nikon 50mm 1.8. The dance studio we filmed in was quite light & spacious so there was plenty of room for me to use the Glidetrack Hybrid to achieve some dolly shots. I filmed mostly at 25p 1080 but also grabbed some 720p 50p shots which worked quite well. I rigged up the Sennheiser wireless mic to Helen to record Helen’s instructions nice and crisply. The second location was Bodriggy Academy in Hayle where Helen was teaching 2 classes of primary school children, one after another. This session was more challenging to film as the classroom was darker and there were 30 kids to a class which made safely moving around much more difficult. Luckily as there were 2 identical lessons I was able to grab the shots that I missed in the 1st lesson in the 2nd one. It was an enjoyable experience working with Helen & the young people and I hope the resulting films convey that.